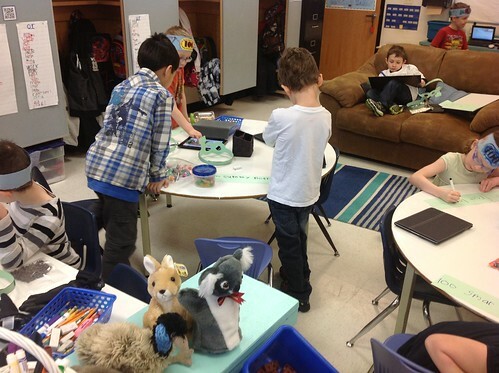 As you can see by the pictures below, our one hundredth day was a busy one. We answered most of the questions the students had and a few more that they thought of throughout the day. 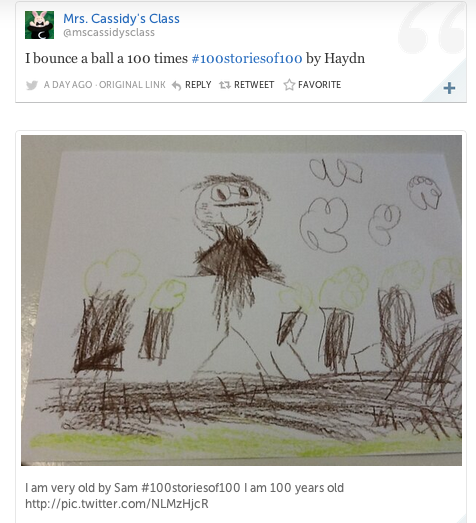 As the students were working, they tweeted out each “story” of one hundred using the hash tag #100storiesof100″ (the students actually made that hash tag up themselves). 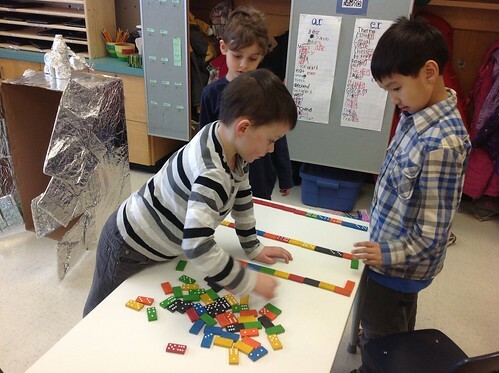 We knew we wouldn’t be able to get one hundred tweets from just our class, but with the help of our friends in other classes who were also celebrating the one hundredth day of school this week, we were actually able to collect 112 student tweets. I have put these tweets (minus retweets and teacher organizational tweets) into a Storify. 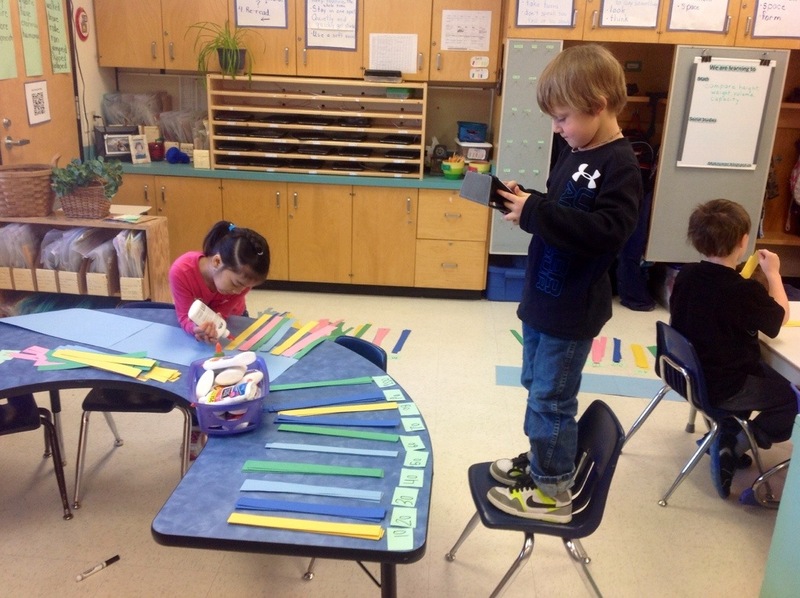 The students were excited to get 100 tweets and poured over the tweets during their independent reading time. There is nothing like meaningful text to inspire children to read! Here are a couple of sample tweets from the day. 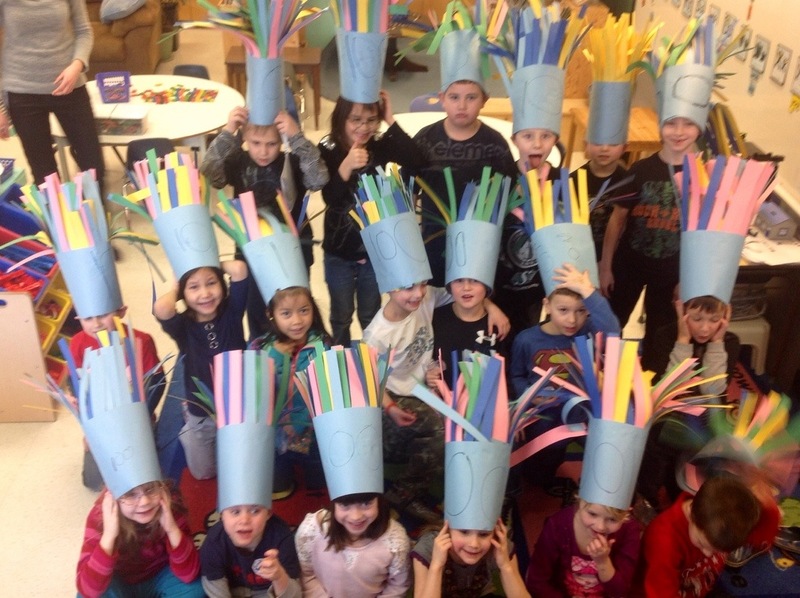 Monday will be our 100th day of school. It is a day we have been anticipating all year. 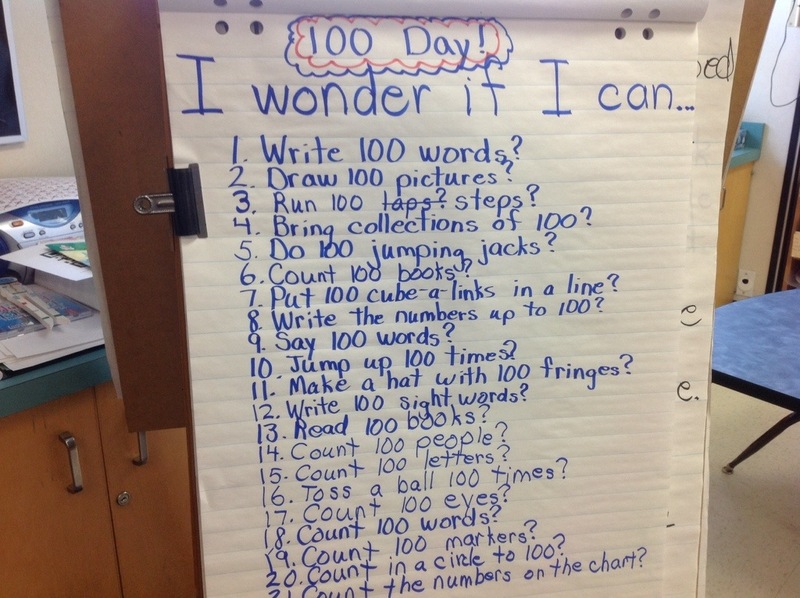 The students have made a list of things they wonder about the number one hundred. When we talked about our list today, it occurred to us that we could answer the last question using the other things we had thought of (or most of them–I don’t think the Slurpie thing will happen). Here is our plan. 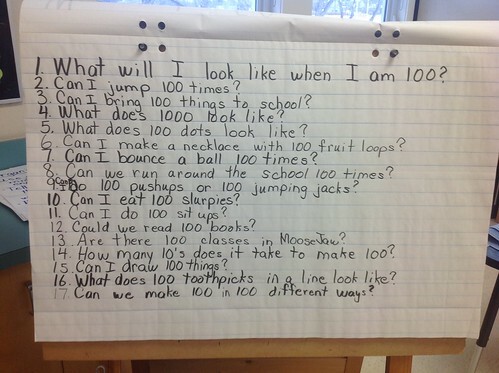 We are all going to bring one hundred of something to school. We’ll compare the things we bring and take pictures of them. Then, we’ll tweet each of the the pictures with the hashtag #100storiesof100. As we work our way through the big list we made, each thing we count, each activity and each number sentence we write about 100 will become a “story of 100” and we will tweet it out using the #100storiesof100 hashtag. Later, I’ll grab all of the tweets with that hashtag together in a Storify. We don’t think we can make one hundred stories by ourselves, so we hope others will join us on February 11th and tweet some “stories” about 100. There are an infinite number of things that could be a story of 100. We wonder what your stories of 100 would be. We can’t wait to see.